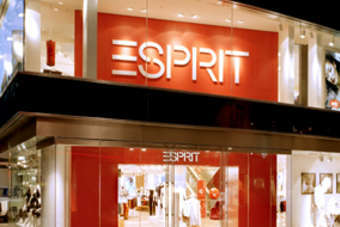 Esprit suspended the trading of shares in its company today (13 June) after its share price slid following the resignation of its CEO. The company, which is in the middle of a restructuring plan, announced yesterday that executive director and group CEO Ronald van der Vis will leave the company on or before 1 July. Esprit said van der Vis is resigning for personal and family reasons, wanting to pursue other interests. "The Board regrets this, but respects Mr van der Vis's decision to devote more time to his personal endeavours. Mr van der Vis has confirmed that he has no disagreement with the Board and there is no matter that needs to be brought to the attention of the shareholders of the company in relation to his resignation," Esprit said in statement on the Hong Kong stock exchange. On the back of the announcement, the clothing brand's share price dipped 23% to a low of HK$10.36. The company suspended trading on the back of the fall. In September last year, the company announced a broad transformation plan which saw it exit North America, exit its retail businesses in Spain, Denmark and Sweden as well as closing down under-performing stores worldwide. As part of the plans, it is working to develop new branding and sourcing strategies, while growing its presence in China.